The importance of quality windows should not be underestimated. Windows provide protection against outside elements, promote energy efficiency, and they can significantly enhance the beauty and value of your home. That’s why when it comes to wood windows (vinyl, aluminum or fiberglass clad), we sell premium Andersen® windows. 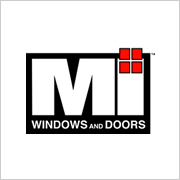 And, in addition, we carry energy efficient vinyl and aluminium windows by MI Windows & Doors® (MIWD). 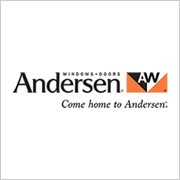 Please CLICK HERE to visit the Andersen Help Center where you can: (1) find answers to commonly asked questions; (2) search various topics regarding Andersen products, and; (3) access a video library covering a number of topics, including installation of Andersen windows and doors. To speak with a professional sales associate knowledgeable in Andersen products, please call our Millwork Division at 251.649.3230 (option 4), or you may send a request here and we will be in touch with you shortly.